Last month the HTC Desire 530 became available in the US for the first time, both in unlocked form as well as through T-Mobile. And starting today Verizon is offering the handset too, even undercutting the magenta carrier on price. You can purchase the Desire 530 online from Big Red right now, or if you want to buy it from a store you need to wait until August 11. It’s priced at $6 per month with a 24-month installment plan, adding up to a full retail price of $144 ($16 less than at T-Mobile). For a limited time, if you already have Verizon service and activate a new line you can get the phone for just $2 per month with the same two-year payment plan, so the total in this case will be only $48. If you upgrade an existing line, you receive $50 off the $144 retail price if you order online with device payment (and this too only works for a limited time, though the carrier hasn’t defined what exactly that means). 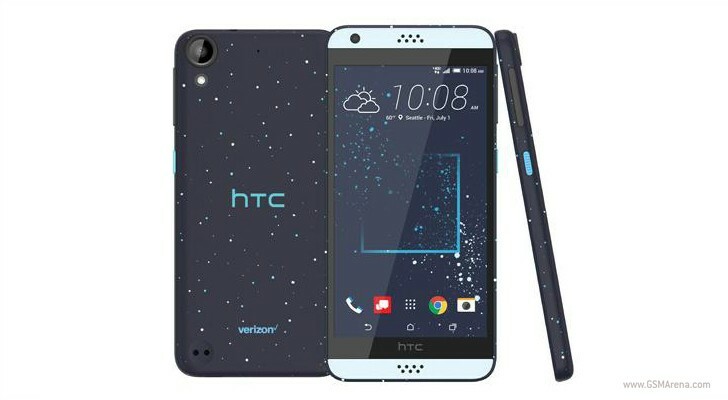 Finally, there’s also the option of going prepaid, in which case the HTC Desire 530 will set you back $99.99. The smartphone features a 5-inch 720p touchscreen, an 8 MP rear camera with LED flash, a 5 MP front-facing shooter, the Qualcomm Snapdragon 210 SoC (with a 1.1 GHz quad-core Cortex-A7 CPU), 1.5GB of RAM, 16GB of expandable storage, and a 2,200 mAh battery. It runs Android 6.0 Marshmallow.